As preparations continue for Trump-Kim summit, Secretary of State stresses: Trump will not stand for a bad deal. U.S. Secretary of State Mike Pompeo said Thursday that North Korean leader Kim Jong Un has "indicated to me personally that he is prepared to denuclearize." The remarks to reporters, quoted by CNBC, come just days ahead of a summit between Kim and President Donald Trump, scheduled for June 12 in Singapore. Pompeo, who has met with Kim twice, noted Thursday that "President Trump will not stand for a bad deal," and said the administration would be seeking complete, verifiable, and irreversible denuclearization. On Monday, the White House announced the time for the Trump-Kim meeting, saying it will take place at 9:00 a.m. Singapore time on June 12. On Tuesday, it announced a venue for the summit - the Capella Hotel on Singapore's Sentosa Island. Earlier Thursday, Trump said that he would invite Kim to the United States if next week’s summit is successful. 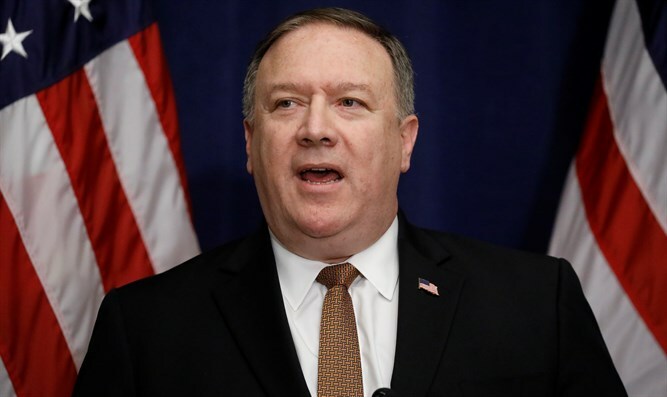 "In the past, there have been months and months of detailed negotiations, and they got nowhere," Pompeo said Thursday, referring to previous negotiations between the United States and North Korea. In contrast, he said, this summit "has to be big and bold." North Korea is believed to have developed a miniaturized nuclear device that could be placed on a missile that could strike the United States. Defense Secretary Jim Mattis said on Saturday that North Korea will receive sanctions relief only after it shows “verifiable and irreversible” steps toward denuclearization. “We will continue to implement all UN Security Council resolutions on North Korea. North Korea will receive relief only when it demonstrates verifiable and irreversible steps to denuclearization,” said Mattis.